My career as an artist is strongly interwoven with both my career as a technologist and my passion for community organizing. I have a B.A. majoring in Fine Arts with a concentration in Oil Painting, and a Ph.D. in Social Psychology. While working on innovation teams as a technologist in the past fifteen years, my artwork has simultaneously evolved to incorporate technology in large scale, collaborative installations. Much of my current artwork reflects my fascination with the transformative nature of technology. Technology is the new magic, and has fundamentally changed how we relate to each other and the world. My current projects explore how we may use interactive technologies to embed social information in our physical environments. Please visit my bio and CV as a technologist to learn more about my career as a research scientist specializing in community technology research and development. I am a classically trained visual artist with a parallel career in technology. In high school my family sent me to a small, private high school to foster my creative side – Seattle Academy of Arts and Sciences – where I thrived under the four years of required arts classes (1984-1987). 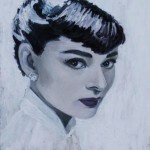 At Georgetown University (1987-1991) I double majored in Fine Arts and Psychology where I focused primarily on figurative and portrait oil paintings. In the early years, painting was my art. When I finished college I decided to pursue a career in psychology. However while spending a year in Rhode Island as a direct care counselor, I took night classes at the Rhode Island School of Design (1992), again in painting. I went to graduate school at the University of Washington to get a Ph.D. in Social Psychology (1993-1999). While at graduate school I continued to paint, and took sculpting classes through the UW extension program and at Pratt. Towards the end of my graduate program I started writing software for my research, which involved into a career in technology. From 1999 to 2005, while working full time at Microsoft Research studying social technologies, much of my artistic interests were expressed through Burning Man installations. I was particularly attracted to the Burning Man arts community’s emphasis on immersive, experiential art: art that provided a transformative experience for participants, often through an almost ritualistic process. My first project was a Princess Cage with Dave Vronay and Weiru Cai, we created a structure that would symbolize the tension between the pursuit of material luxury, and the restrictions pursuing material goods imposes on your freedom. My exposure to Burning Man shifted my focus to large scale, collaborative installations. From 2001-present I became increasingly involved in the Burning Man arts community as an arts organizer, having discovered I have a strong skill for directing the construction of large scale collaborative art projects. In 2005 we formalized our art group into a 501c3 non-profit arts organization to foster large scale art collaborations locally — the SV Arts Collective — for which I was the Vice President and served as a member of the board. I have since played the role of creative director for many large scale art projects and arts fundraising events. I also served on the board of Ignition Northwest, another arts group focusing on facilitating large scale, experiential arts in the Pacific Northwest. 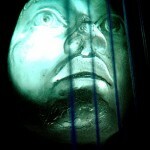 In 2005 I started becoming interested in incorporating art into technology, and technology into art. In the context of my work, I increasingly saw that a lot of the more cutting edge uses of social technologies occurred in the hands of artists, and similarly started pushing my technology projects in a more artistic direction, such as MyTwee, an interactive Flash visualization representing trends in your Twitter network as a growing tree. I began attending Dorkbot meetings to learn from other technology creatives, and from 2005-2009 I took on a lead role with the Dorkbot organizing committee (a.k.a. “Dorkbot Overlord”). After a couple of years in the startup world and at Yahoo, I returned to Microsoft Research in 2011, where I increasingly incorporated my artistic perspective into my technology research. Influenced by my work as a community technologist, my art started integrating interactive technology. 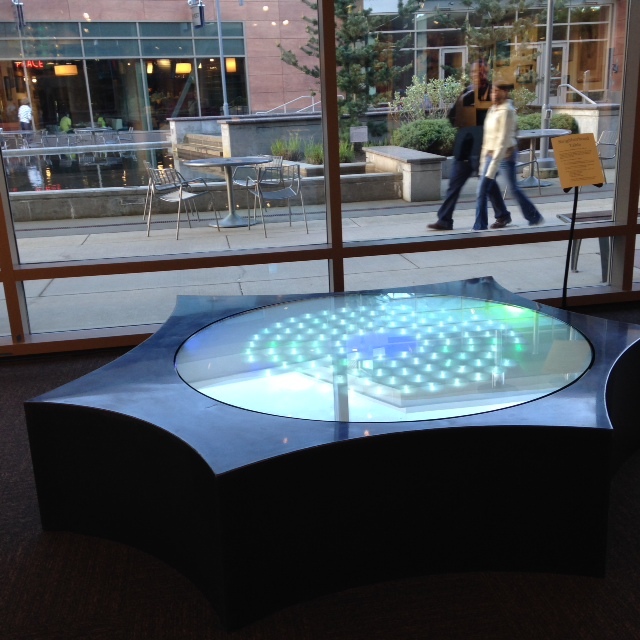 While at Microsoft Research from 2011-2014 I became interested with the capacity of new forms of interactive computing to embed information into our physical environments, particularly information relevant to hyperlocal communities to foster civic well-being. 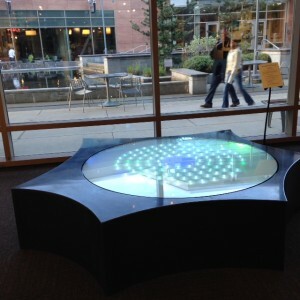 This work led for example to the creation of the Neighborhood Table, representing neighborhood Twitter activity in a coffee table format, displayed in Studio 99 at Microsoft Research. In 2013 I co-founded my current art group Recreational Light and Magic (a Totally Legit LLC) and one of our first large scale projects was the Zymphonic Wormhole, exploring how to layer traces of light and sound representing activity over time as people traversed through a worm-hole like structure. 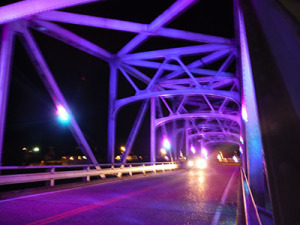 Using a similar technology to represent activity information in a public space, we completed the Skykomish Bridge Project, representing cars’ movement over the bridge through sound and lighting effects, to increase engagement with the local town of Skykomish by cars driving past on Highway 2. 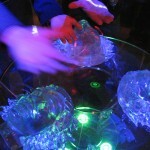 At about the same time, through several studies, prototypes, and workshops at Microsoft Research, we examined the role social technologies may play in fostering the growth of creative communities, leading to a paper on “Fostering a Community of Innovation at the Intersection of Art and Technology”. See paper (Cornish), paper (ISEA2015*) or slides. Building on this interest in civic and creative community technologies and their impact in public places, in 2015 I left Microsoft Research to start a non-profit community technology organization, Third Place Technologies, where we are focused on helping to foster civic and artistic creative communities in the Pacific Northwest. Aligned with this mission, in the summers of 2014 and 2015 we organized “Electric Sky“, an art and tech weekend “campathon”, including a workshop building reactive lamps using Arduinos and controllable lights. I see the next phase of my artistic career at the convergence of my intertwining areas of interest — community development, interactive technology, and large-scale, collaborative art. *Farnham S., Brice, J., Tremblay, G., & Pinto da Silva, A. (2015). Fostering a Community of Innovation at the Intersection of Art and Technology in the Pacific Northwest. ISEA 2015.